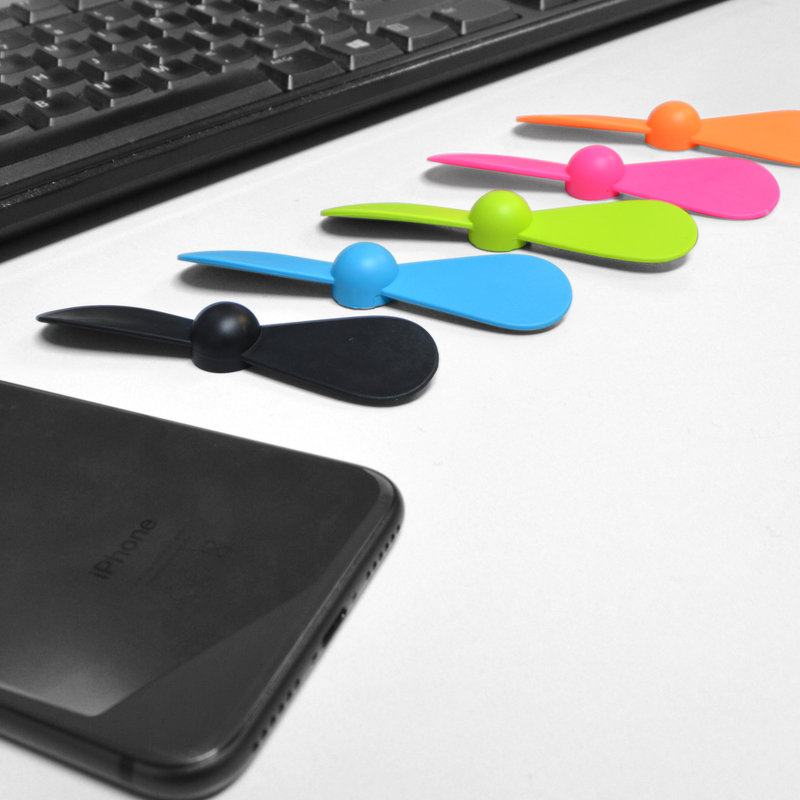 Our brand new Smart Air+ is the best and easiest way to stay cool this summer! 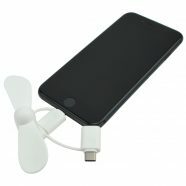 Featuring an impressive 15000rpm motor weighing only 19g, this is the phone accessory you can’t miss out on! 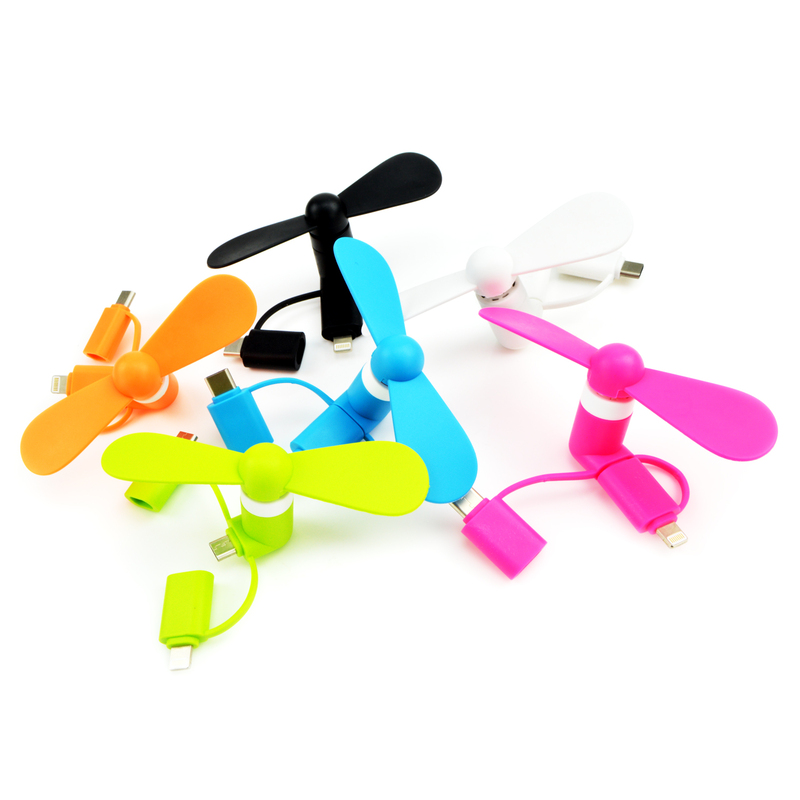 This eye catching product comes in 6 bold colours and can be printed in several different locations, making it a great promotional product. 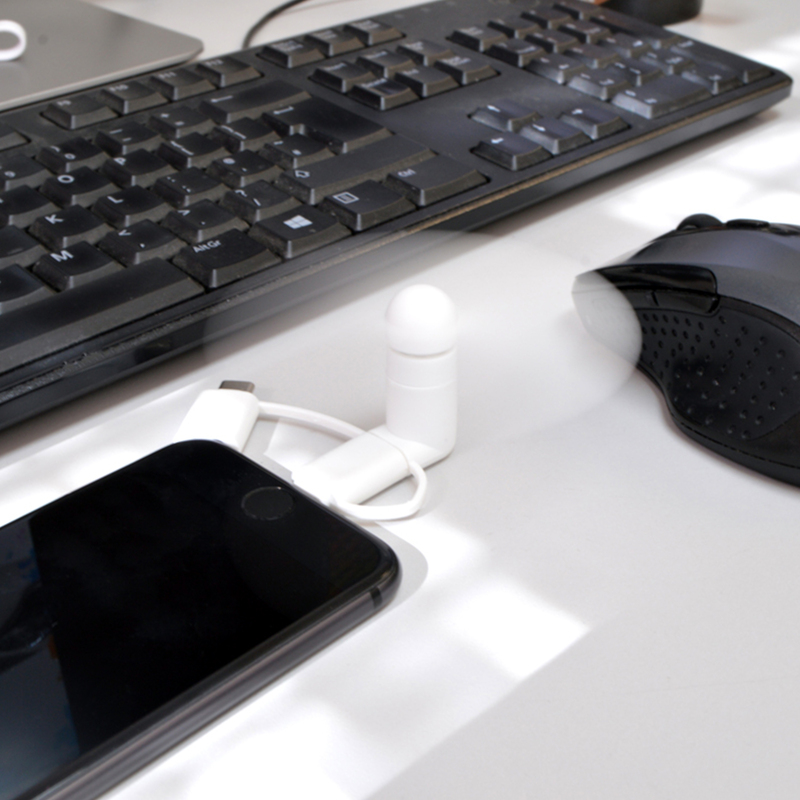 Simply plug the fan into your phone via the Micro-USB, lightning adaptor or Type-C plug for an instant cool breeze. 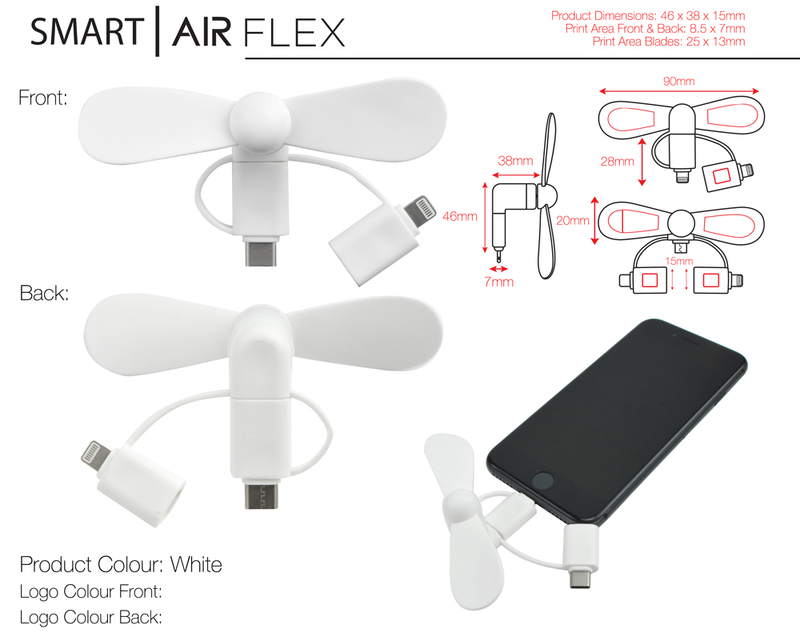 The Smart Air comes packaged in 2 parts; the motor connector and the fans soft blade. 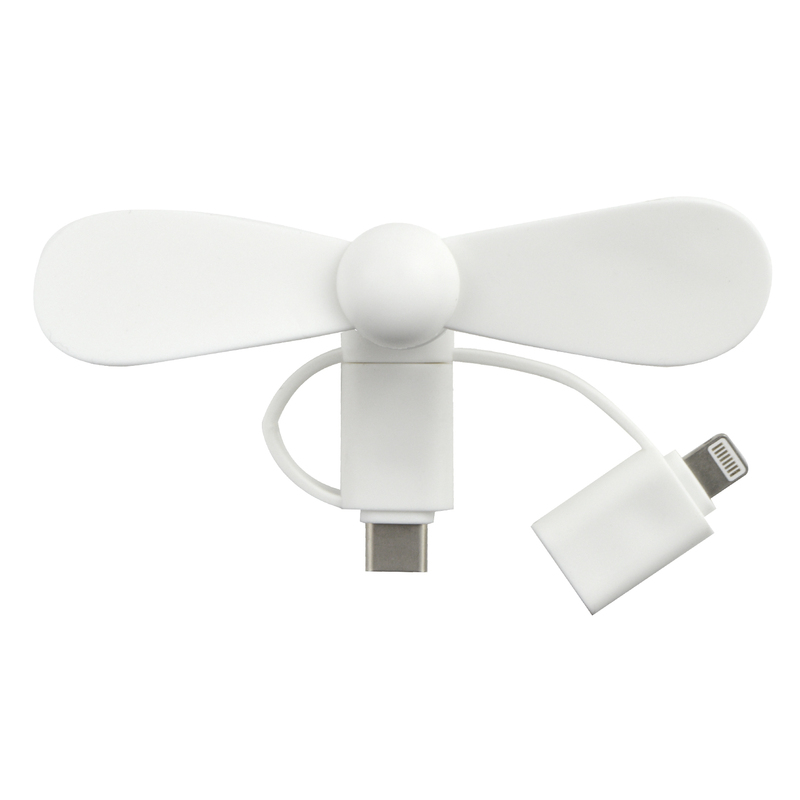 The product is really easily put together by pushing the fan onto the spinning motors pin and then inserting the correct connector into your phone. 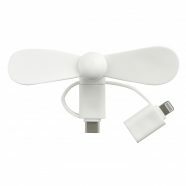 Once the Smart Air is connected it will almost instantly begin rotating, taking around about 1 second to activate. Thanks to the products almost silent 15000rpm spinning motor, multiple branding areas and ease of use, the Smart Air is a perfect promotional product. 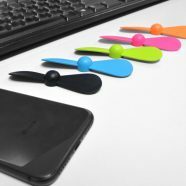 © 2019 Will International Ltd.
For more details on our wide range of products please call us on +44 (0)1932 874 785 or use the form below.